What does Black Panther director Ryan Coogler have in common with Ben van Beurden, chief executive officer of Royal Dutch Shell? Or Representative-elect Alexandria Ocasio-Cortez with Michael Gelband, co-founder and CEO of ExodusPoint Capital Management? A place on the second annual Bloomberg 50, our look at the people in business, entertainment, finance, politics and technology and science whose 2018 accomplishments were particularly noteworthy. Some who made the list are familiar faces up to new tricks, such as actor-producer Reese Witherspoon; others, like Sarah Friar, CEO of Nextdoor, the social network for neighbors, are just starting to make their mark. Within the list, there's one and the only representative from this region who hit the spot. The budget airline forecasts that the number of passengers it serves this year will soar 40 percent, to 24 million, as it begins tapping into Vietnam’s growing middle class by aggressively expanding overseas routes. Thao wants to take on regional giants such as Indonesia’s Lion Air and Malaysia’s AirAsia Group Bhd. 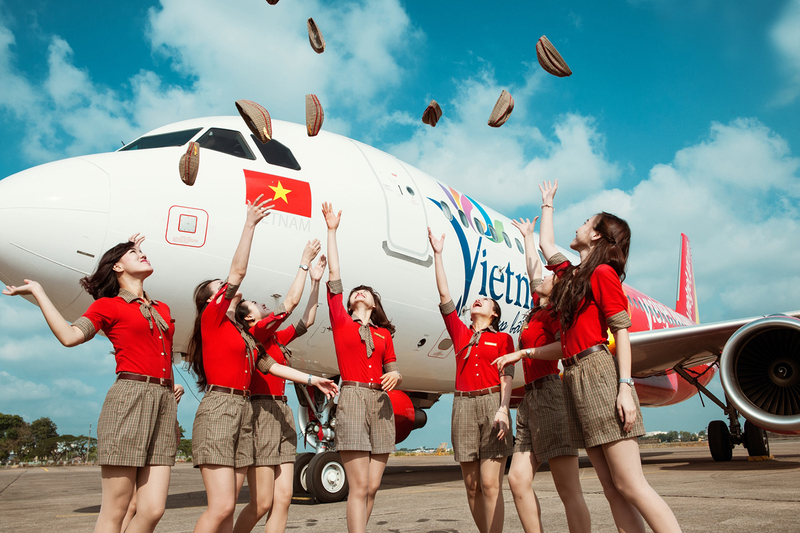 VietJet’s scheduled inter­national capacity is expected to grow as much as 70 percent in 2018, according to the CAPA Centre for Aviation, and the airline has become one of Asia’s largest customers of Boeing Co.’s 737 Max, doubling an order it announced two years ago during a visit to Vietnam by then-President Barack Obama. The expansion further upends an aviation market long dominated by state-owned Vietnam Airlines JSC, as VietJet offers millions of Vietnamese customers who’ve never seen the inside of an aeroplane the chance to buy a cheap ticket. “I’m most proud of being able to help Vietnamese farmers fly for the first time,” says Thao, who made her first million dollars at age 21 trading fax machines and latex. Congratulations for being tremendous throughout the year! Keep the momentum on!